A partial payment installment agreement is when a taxpayer enters into installment agreement with the IRS and makes payments on a monthly basis. However, the amount paid to the IRS will not be enough to pay the outstanding liability in full. Depending on the taxpayer’s ability to pay, the monthly installment agreement payments can be “token” payments as low as $25.00 or $50.00 per month. We refer to a partial payment installment agreement as a “Backwards Offer” because the taxpayer may pay less to the IRS than what he owes, just like an Offer in Compromise. 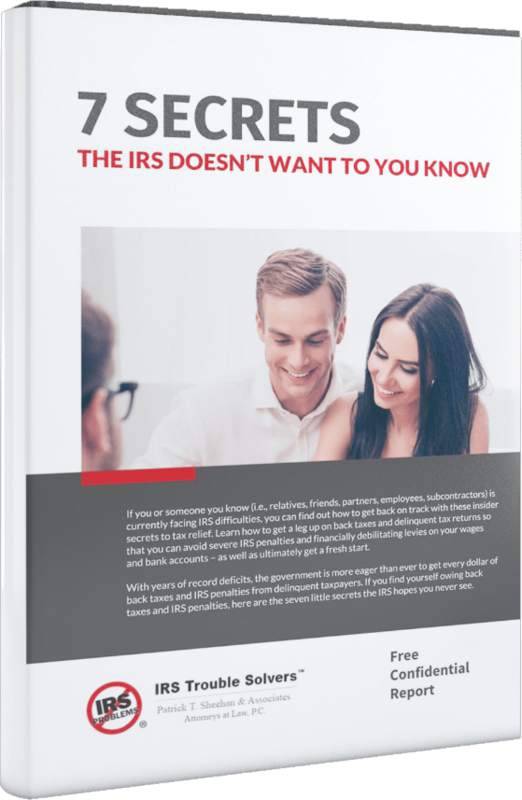 Under a partial payment installment agreement, the IRS may revisit your ability to make larger monthly payments to the IRS, typically after two years. It is also possible that the IRS will allow you to remain on a partial payment installment agreement until the collection statute of limitation expires. If the collection statute of limitation expires before the IRS can collect the full liability, the IRS is no longer legally able to collect the remaining liability from you. Case study: Taxpayer’s Future Income Potential Creates Ineligibility for OICIn this case study, our taxpayer owed approximately $425,000.00 to the IRS. Because of her future income potential, she was not eligible for an Offer in Compromise. We negotiated an installment agreement with the IRS for $1,800.00 per month. However, because the collection statute of limitation (the period that limits the time in which the IRS can legally collect the money from you) will expire in a few years, our taxpayer will enjoy the benefit of a “Backwards Offer” because she will not pay all of the liability due before the collection statute of limitation expires. In this fashion, our taxpayer will pay significantly less to the IRS. As with any contract, you must comply with the terms and conditions of the installment agreement. If you fulfill your obligations under the installment agreement, the IRS will take no enforced collection action against you. You will also enjoy a final resolution to your tax problems.